Was March the Rainfall Miracle We'd Hoped For? Yes, the Bay Area got a lot of rain this winter. But was it enough to end the drought? Sadly, no. But there's good news—this winter was the best we’ve had in five years in terms of precipitation. Rainfall in most Bay Area cities is about 100 percent of normal. San Francisco has received 21 inches of rain this winter, up from 16 inches last year. 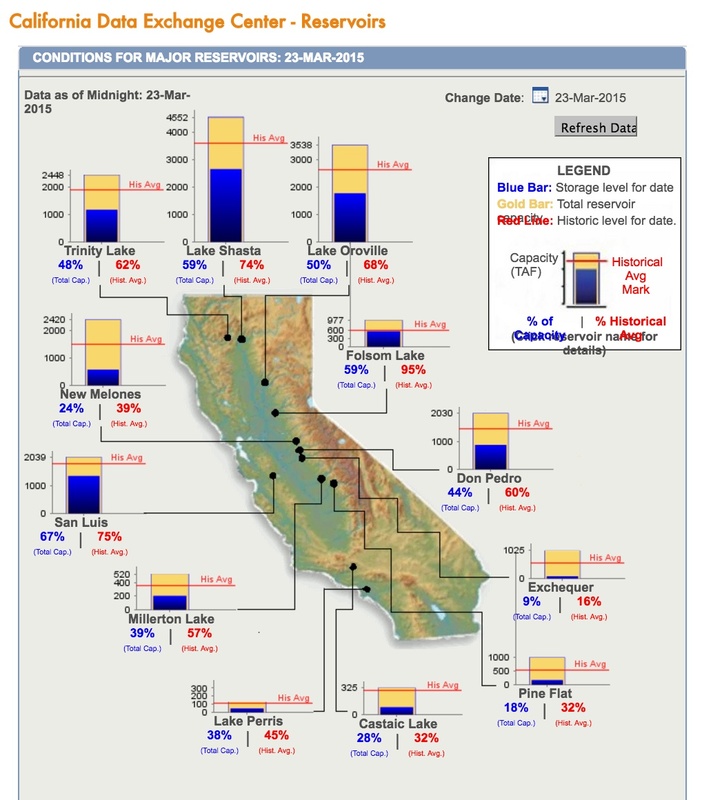 And the state's two biggest reservoirs, Oroville and Shasta, are now more than 80 percent full. Last March, they hovered between 50 and 59 percent. “It’s really been kind of a wonderful last few months," says Paul Rogers, San Jose Mercury News Environment Reporter and KQED Science Managing Editor. El Niño's warm ocean waters fueled storms across the state, and northern California got most of the benefit. 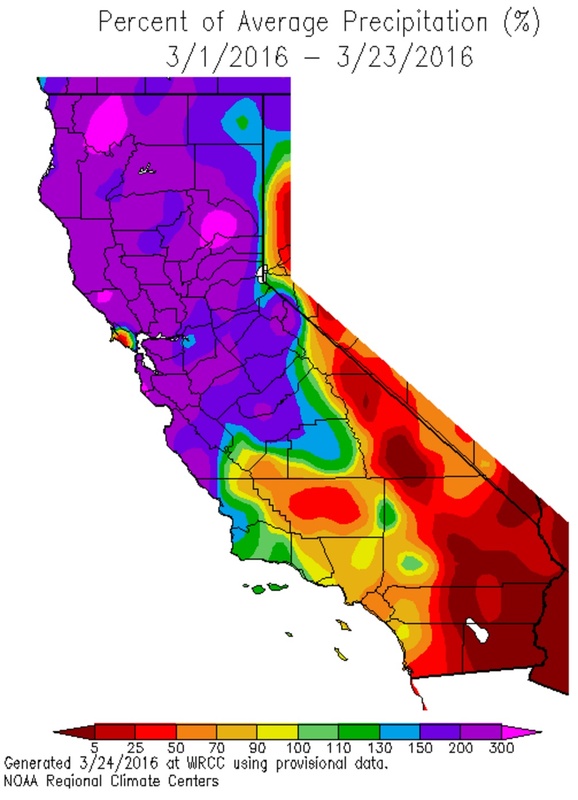 "We’re not in an emergency in northern California anymore in terms of drought," Rogers says. "The soaking storms that we got in March really delivered their biggest punch in the most important watersheds in the state." 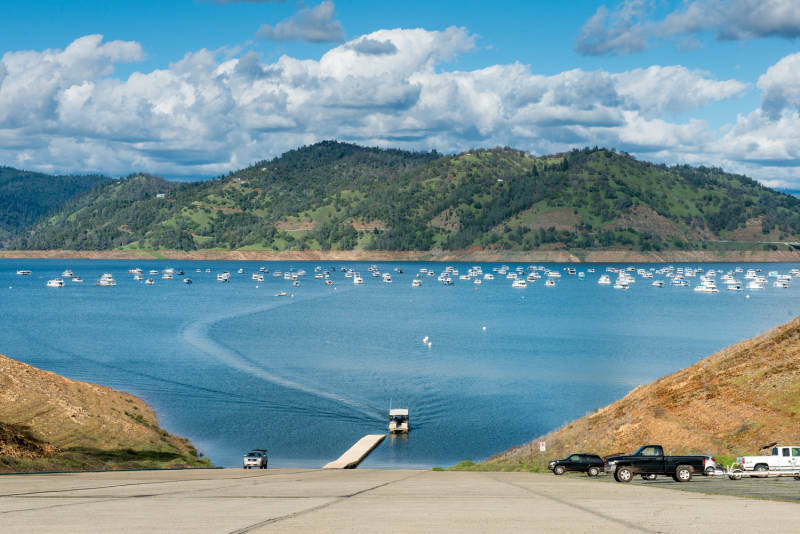 In addition to Oroville and Shasta, Pardee reservoir, the biggest reservoir that serves the East Bay, is 99 percent full. But Rogers says southern California wasn't as lucky. Some cities, like Los Angeles, are only at 50 percent of normal rainfall for this time of year. And farther south, say in Long Beach and Riverside, rainfall totals are at 44 percent of average. "It really is a tale of two droughts," Rogers says. The mandatory water cutbacks Governor Jerry Brown enacted last April have been extended through October, but some of those restrictions may be lifted in parts of northern California. Felicia Marcus, who chairs the State Water Resources Control Board, has already hinted at this, Rogers noted. "What you're going to probably see," he says, "is that, in northern California, particularly the further north you go, where we had a lot of rain, they're going to have few or no mandatory rules. The further south you go, their rules are going to look pretty similar to what they had this past summer." And although relaxed restriction are a positive sign—the drought isn't legally over until Brown says so and lifts his executive order. That probably won't happen this year.